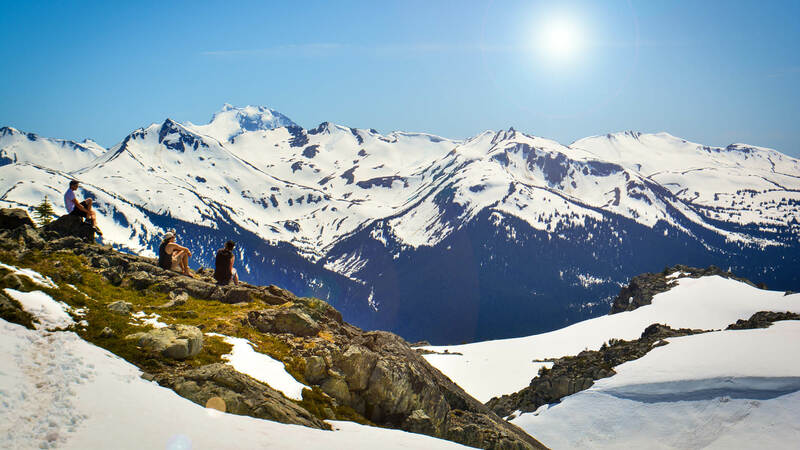 Early summer is an amazing time to visit Whistler Blackcomb. With over 12 meters of snow blanketing the slopes this winter, the snow pack at the top takes months to melt. As the forecast heats up in the valley, the snow in the alpine is an incredible escape. 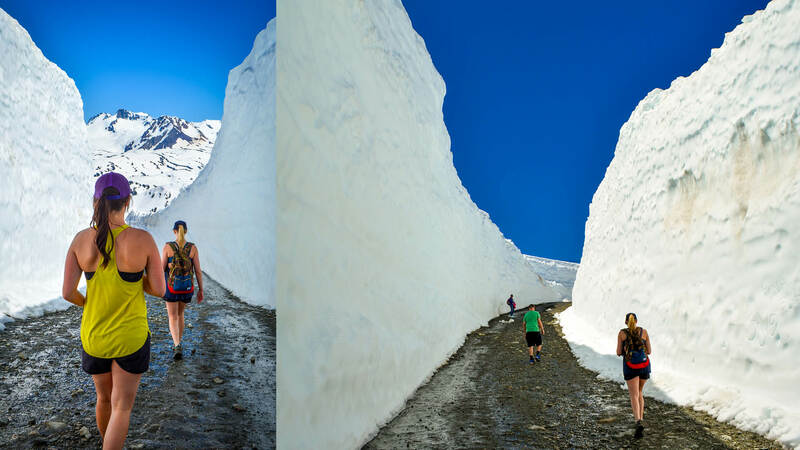 Here’s 4 of the best things to do in the snow in shorts and t-shirts at Whistler Blackcomb. Everything below is part of the PEAK 2 PEAK 360 Experience. Grab your pass and get up there! 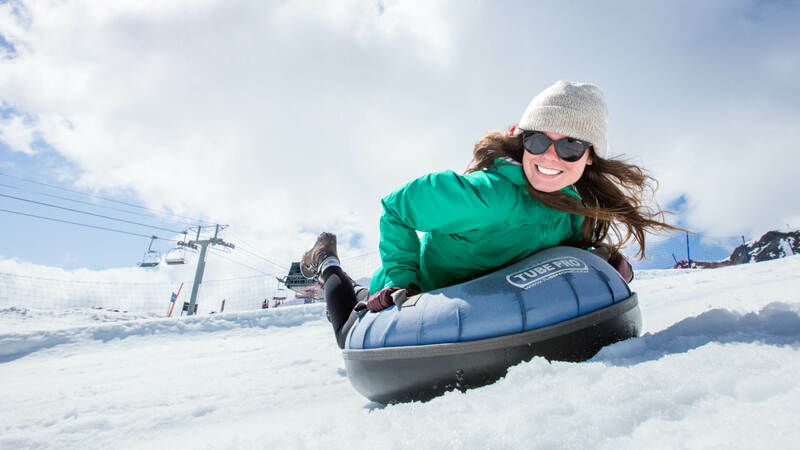 Have you always wanted to go tobogganing? Missed out on going this year? Or just a huge fan of sliding on snow? You’re in luck, right beside the PEAK 2 PEAK terminal on Whistler there is a free sliding zone complete with cushy tubes. The alpine is the perfect place to have a scenic picnic. Not much planning needed. The Roundhouse and Rendezvous Lodges are stocked with picnic ready food. A quick stop in and you’re ready to head for the hills. The snow in late spring/early summer is just melted enough to reveal warm rock outcroppings ideal for a relaxing picnic. Toss your water bottles in the snow while you eat and they’ll be icy cold for your walk back. A sure way to recover from the summer swelter is a good old fashioned snow angel. Not sure on the technique? Don’t delay! The earlier you come visit the more snow there is to see. Can’t make it in time? Don’t stress, when the snow melts alpine hiking and wildflowers come into season. 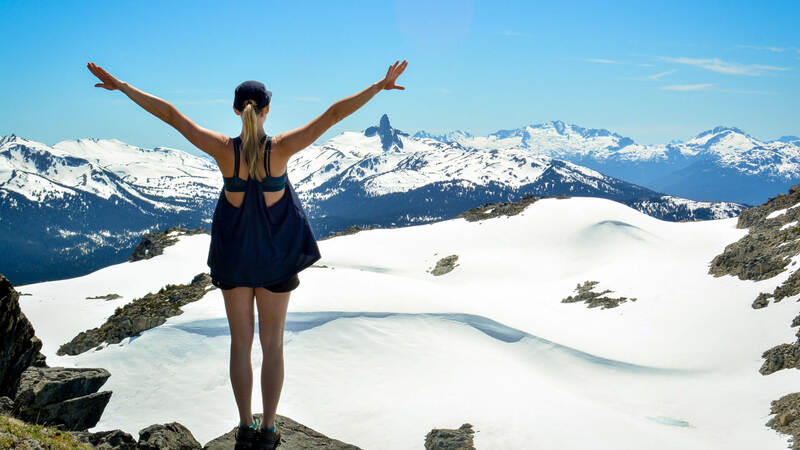 Looking for even more intel on planning a summer vacation in Whistler? Our experienced and knowledgeable staff are here to help. Give us a call today 1.800.766.0449.